Disney's stock has dipped in the wake of Solo underperforming at the box office over the weekend. The latest Star Wars offering of the Disney era has had its fair share of problems and those problems continued to rear their ugly heads this weekend as the movie made $83.3 million over the three-day weekend and $101 million over the entire four-day Memorial Day weekend. As a result, shares of Disney stock have slipped. Overall, Disney's shares are down six percent for the year. The only Star Wars movie to date that has had a worse opening weekend at the box office was Attack of the Clones, which managed just $80 million back in 2002 following the not-so-great reception to The Phantom Menace. Critically, the reception for Solo has been reasonably positive, as the movie currently sits at a 70 percent approval rating on Rotten Tomatoes. The audience rating sits a little lower at just 62 percent. These are not numbers anyone wants when it comes to the Star Wars franchise. 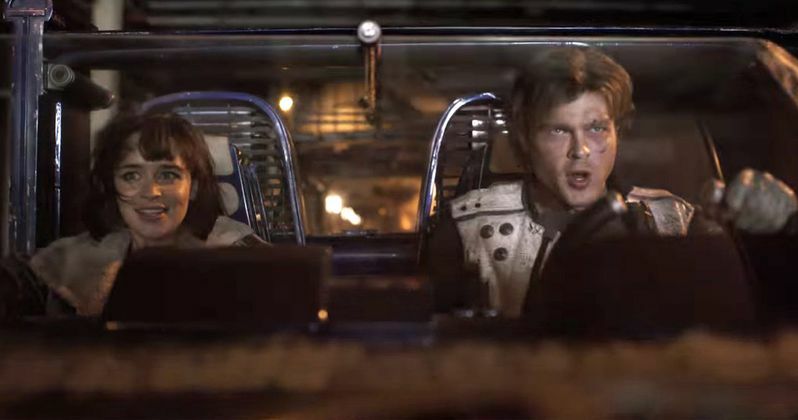 Solo had a notoriously rough road to theaters. Phil Lord and Chris Miller were hired to direct the movie originally and had shot almost all of it when Lucasfilm President Kathleen Kennedy decided to fire them over creative differences. Ron Howard then came in and reshot 70 percent of the movie. While no exact figure has been provided by Disney, it's been reported that this movie brought the production budget of the latest Star Wars standalone to $250 million or more. And that's before marketing costs. That makes the relatively ugly opening weekend numbers for the movie all the more painful. Prior to the weekend, estimates had Solo earning as much as $150 million domestically. Unfortunately, the movie has stumbled overseas as well, with its worldwide total currently sitting at just $168 million. Depending on how bad the week-to-week dip is, Disney could be on track to lose a big chunk of change here. All things considered, a one percent dip in stock price isn't the end of the world, but this has proved that the Star Wars franchise isn't bulletproof and that Lucasfilm needs to do a little bit of course correcting behind the scenes, if they haven't already, to make sure something like this doesn't happen again. This news comes to us courtesy of CNBC.